Peaceful, primitive peoples of planet Neural get caught up in the struggle between superpowers, with Kirk unhappily trying to restore the balance of power disrupted by the Klingons. "A Private Little War" is the nineteenth episode of the second season and was first broadcast February 2, 1968 and repeated on August 23, 1968. 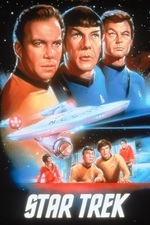 The screenplay was written by Gene Roddenberry, based on a story by Don Ingalls under the pseudonym Jud Crucis, and directed by Marc Daniels. It was intended as an allegory about America's involvement in the Vietnam War. In this episode, the crew of the Enterprise discovers Klingon interference in the development of a formerly peaceful planet and joins them in what becomes an arms race. A long time ago on Multiplayer BattleTech I went by "Pvt. Little War"
Is Dr. M'Benga a bit of a jerk to Nurse Chapel for some reason? He says, "If he speaks, do whatever he says," but doesn't give her a more specific heads-up about one of the things Spock might ask is to hit him? Is there a whole list of unusual requests Spock might make depending on the circumstance? The Vietnam war allegory comes through loud and clear, but it's an odd note for star trek to strike, because it plays as a defense of the war on humanitarian grounds. Reluctantly, regretfully, but we must. But there's no justification underlying it. If the Klingons are breaking treaty by doing this, and you've got evidence that they're breaking the treaty, why not call them out? Try to enforce the treaty and cut off the supply of weapons to the other side? This is never considered, and it's a real oversight. As an allegory, it stinks. Is there anyone in the world who seriously thinks the US went to war in vietnam for the sake of the vietnamese? You need to throw in the Domino theory for it to work, and they skipped that entirely. The Klingon's plan is poorly sketched out, so I choose to interpret it as a unofficial, unsupported side-scheme of some random ship's captain who thinks somehow it'll work out to his advantage.